Attendance at trade shows is essential for DJs who want to keep on top of the rapid changes that continually shape the scope of our business. Disc Jockey conventions are action-packed and fun-filled opportunities to grow as a professional. There are workshops and seminars on a variety of industry-related topics. You can also network with peers from around the world, and learn from and share with them. A visit to the exhibit hall offers mobiles the unique opportunity to see, hear, experience, and discuss the offerings of hundreds of vendors in one place. Special parties and social events are a great way to meet and speak with other DJs under highly enjoyable conditions. Don’t be shy, go up to people and introduce yourself! Ask questions about their business and market. 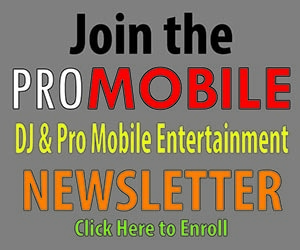 Share information about your DJ service, as well. Many a longtime friendship and business alliance has been born from just such a humble beginning. And do you know how those mobiles who are putting on seminars got to do so? They offered! Contributing to the betterment of our industry is a very good thing, so consider writing a proposal for a seminar to the trade show of your choice, and you too could be standing with the leaders. When you meet people of interest with whom you want to follow-up in some way, jot down a note to yourself on the back of their business cards. This way, when you return back to the office, you won’t have to say to yourself, “Now who was that again and what did I promise him I would do?” Review any notes you have taken and create an action-plan to make the most of your trade show experience. Scratch DJ Academy At MBLV20!